Eduardo, You're doing great in your profession field in bodybuilding !!! Again, I love to share you guys my favorite hot male bodybuilder, Eduardo Correa, and this post come to part 7. This guy's have the total package indeed! Great body,﻿ handsome face, smoldering latin sensuality.. WOW! His physique is awesome, that make me dream of hug him all night long. Eduardo Correa poses in the gym for Muscular Development photographer Per Bernal after his win at the 2008 Cyber Classic. I agree he's smoking hot. He has the hottest body I've ever seen. His body is amazing. SO MEATY he'd inspire most to try CANNIBALISM! Ohhhh, those PEC steaks look so juicy.﻿ I wanna feast on him. Whatabody!...and﻿ handsome as HELL.... He's got a well-balanced physique. 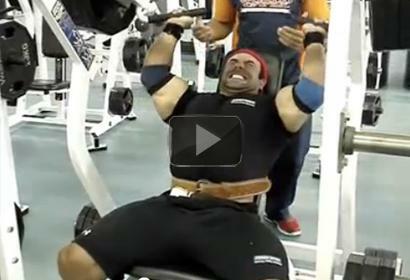 I think that most bodybuilders tend to neglect their lower bodies, but not Eddy Correa. His lower body looks just as﻿ good as his upper body...great size, striations, and definition of the quads, hamstrings, and calfs. What a HOT HUNK of MAN! 360 on the Delt Press! The man is﻿ incredible! Doesn't get anymore impressive. Asolutely phenomenal! Unfortunately Eduardo injured his right tricep in a workout and had to undergo surgery. He's recovering and is having physiotherapy, but due to the lesion he has decided not to compete for the rest of﻿ the year until he has fully recovered. 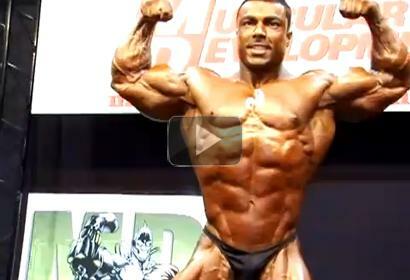 Eduardo Correa After Winning the 2010 Europa Show of Champions 202 Class!. I've been impressed with Eduardo since he came on the﻿ scene. Really nailed it! And a genuine, nice guy. Will be cool to see where he goes from here! Oh yeah! Godlike they certainly are. Eyepopping, wood enducing shoulder muscles. I am just blown away by their﻿ wide... massive... bulging.... traps and delts! Throb, throb, throb! In several video clips with Flex I noticed some attitute from them. There was one post bodybuilding where he is natural & in the﻿ gym but he had a bit of attitude when talking to the camera. Not only he's got a real good body, he knows how to handle the weight, which makes the workout more efficient. 2010 NPC Teen & Collegiate Nationals, they had the most impressive physic! It looked proportional and not too small or big... So young and so incredibly strong ......... Amazing! You're looking really good. Wonderful symmetry. A little too close to the camera for displaying those marvelous calves. And please get rid of those bulky﻿ shorts when you're on camera. A body like yours deserves posing briefs. Nice﻿ job man,why don;t you try the straight bar for biceps?feels more natural using a straight bar,curl bar tends to cause stress on the wrists,that's why i quit using curl bar for biceps,anyways nice job great video. I just cant believe someone can look so freaking awesome like him. Must say i prefer levrone but seeing flex here is like the next level. Look alike, overtime you devolope muscIe memory and its just basically a habit. Overtraining is not the same as exhaustion. Mr.drdeluxe2 on skype, Yes this guy again. He is my fave, i love the head and facial hair, and the bod. ill be honest i want to sit in ure lap and lick u. im that kinda guy :D dont﻿ stop vidding! Natural bodybuilder Kent Julius poses his shredded biceps and pecs. Great video man!﻿ Just another reason why he's my favorite bodybuilder.thank﻿ you.if you have other bodybuilder clips upload please thanks. Oh how I would love to be at the gym someday when some gorgeous muscIe stud drops trou and starts posing and flexing in his undies. With this videos set, it's an inspiring story. They just keep getting more and more incredible. Words can not describe how awesome their muscIes are! Definitely they are shredded as I can see the striations﻿ in your chest and shoulders! Their abs are ripped as are their huge biceps and awesome vascularity! .... total perfection! Interview with top fitness model Demetris Patsalos of Cyprus filmed by NorthAmericanBodies.com at Golds Gym the day after he competed at the 2010 MuscIemania Fitness American Championships held in Las Vegas, in which Demetris once again placed in the top 5 among over 70 of the best male fitness models from around the world. Demtris and Aries, these 2 young fitness models are Greek and brothers. They competed in a fitness modeling comptition in Miami, and looked fantastic. Here they pose together to be admired! Ryan pumps up for the FAME 2010 fitness model competition, in the final moments before going on stage to impress the judges. Best Online Personal Trainer - Max "The Body" That's what I call perfect proportions! Keep up the good work, you have the best overall physique I have seen as well as size...all I can﻿ say is WOW! Eduardo Correa Completo Bodybuilder and Mr.Olympia 2010. He has the beefiest, yet ripped triceps﻿ that I have ever seen in my life. He's﻿ the best looking bodybuilder without comparison, look at them huge python massive arms. Dude shawn ray was the man...in my opinion he had the most symmetric﻿ large physique ever.